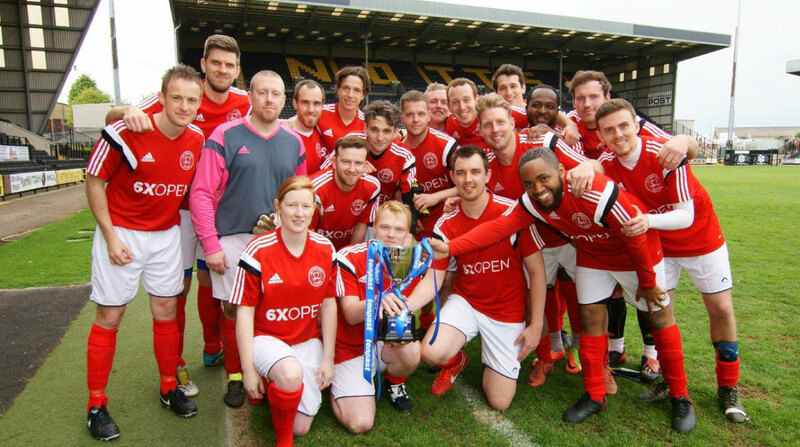 NOTTINGHAM, SATURDAY 13th May saw, Midlands Titians, St Nics FC take on the SIX TIMES OPEN All Stars at Meadow Lane, the home of Notts County FC for the first year of the TENPAST Challenge cup, sponsored by Tenpast Events and Job Lot Trophies. We were honoured to have heart survivor, Becky Morgans, join us for the match and make an appearance on the pitch. After 90 minutes, there was nothing to separate the two teams and so the game went to penalties to decide the 2017 winners of the TENPAST Challenge cup. Goals were shared by both teams and after 9 kicks with 3 goals a-piece, the All Stars Captain, Andrew Spence stepped up to the plate for one final kick. He placed the ball. Silence. In a flash, it was all over and cheers erupted around the stadium as the men in red ran to celebrate with their captain and goalkeeper, the All Stars had won! 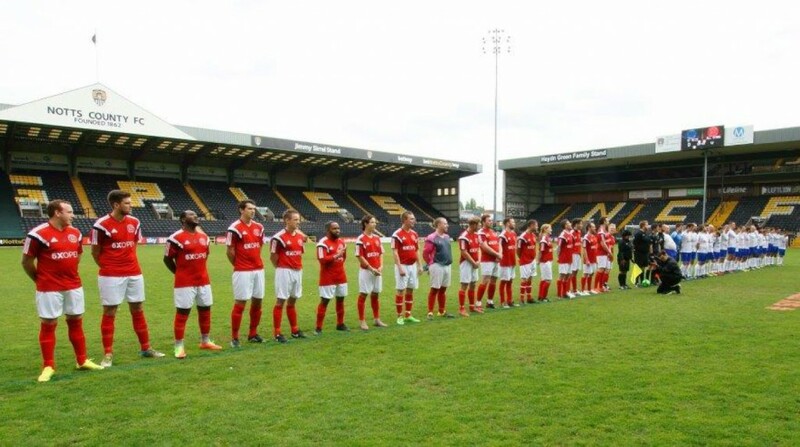 After much frenzy the team made their way overt to the stands, where the Ian Mculloch, Notts County FC’s top goal scorer 1980/81 seasons and Miss England Tourism, Nicole Cox, presented them with the TENPAST Challenge Cup. Regardless of the score, there was a bigger game afoot with both St Nics FC and the Allstars playing in support of lifesaving research into heart disease carried out by the British Heart Foundation. 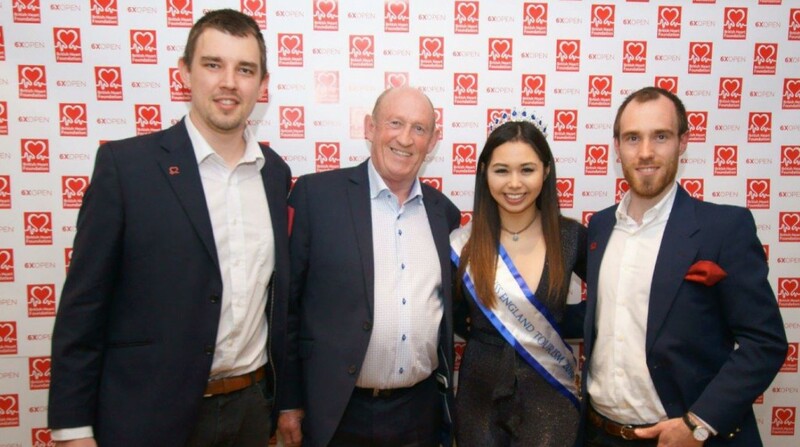 Post-match there were talks from, Miss England 2016 and Derek Kilgraff from the British Heart Foundation sharing about the ground-breaking research being conducted in the Nottingham area and the upcoming ‘Wear It Beat it’ campaign staring on the 9th June. It was a fantastic day with the event raising £3000 GBP for lifesaving research of the British Heart Foundation. We want to thank everyone who came and all our partners that made the event possible: Tenpast Events, Notts County FC, Notts TV, Nottingham Trent Uni, Job lot Trophies.